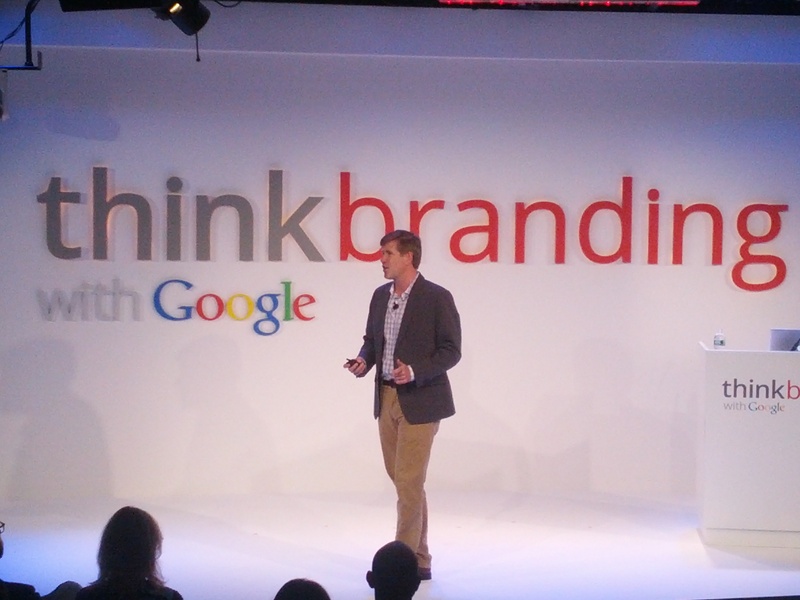 I’m giving the keynote presentation today at Google’s “Think Branding” event in New York. 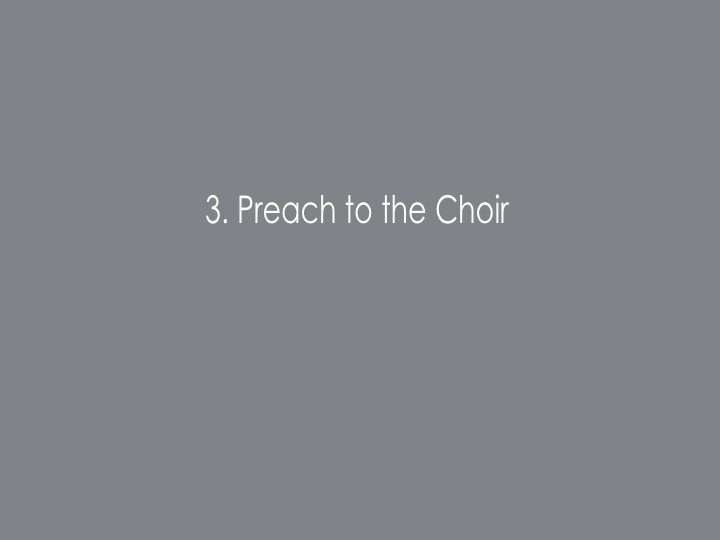 I want to share my slides and notes. I’m speaking about the power of “Marketing Worth Sharing”. Many thanks to Google for inviting me. There has never been a better time for marketing. New technologies give us an unparalleled opportunity to connect with our consumers. Google calls these “moments that matter”. 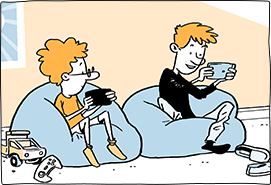 It is sometimes tempting to think that the technology is enough. We sometimes get so excited about the shiny new thing that we forget about the actual big marketing idea needed to take advantage of the shiny new thing. Today I want to talk about marketing worth sharing. 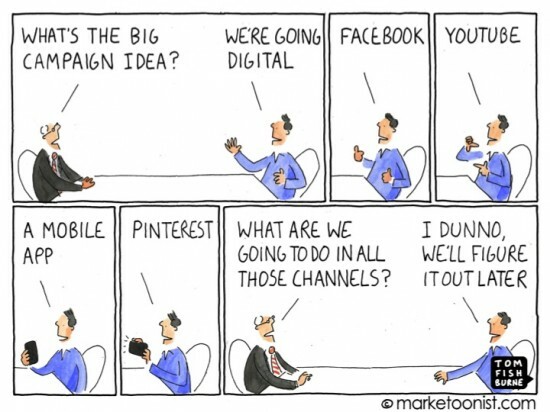 The big marketing idea matters more than the available technology. 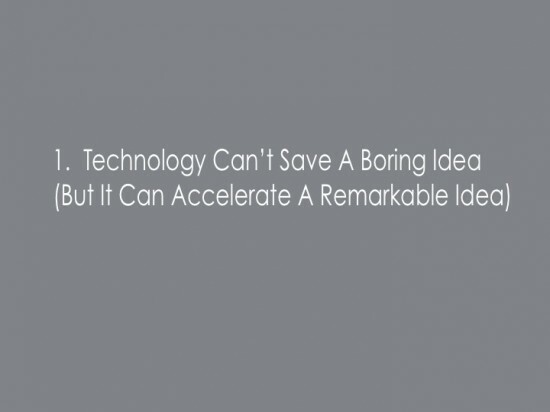 Technology can’t save a boring idea. 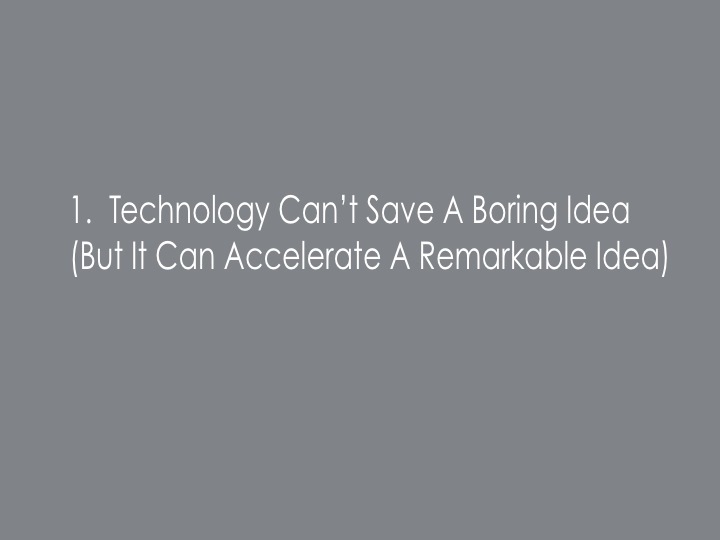 But technology can amplify a remarkable idea. This is a “moment that matters”. We know that “word of mouth” is the most powerful way to spread our brands. 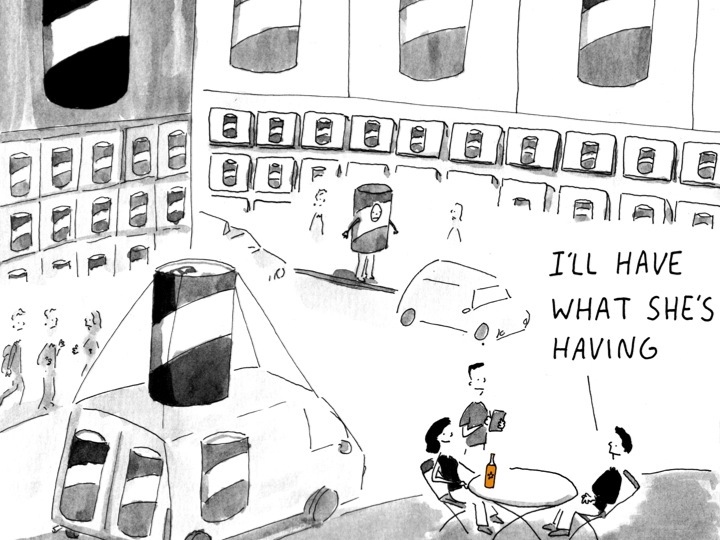 Our ultimate goal as marketers is to get to these “I’ll have what she’s having” moments. Word of mouth is more powerful than all of the traditional marketing vehicles combined. And there are more tools than ever to make these moments possible. But “word of mouth” is more than just a “Like” or a “Plus One”. For a story to have impact and to spread, it has to be worth sharing at the start. An antisocial experience or antisocial brand doesn’t become social just because of social media. Many of the brands we work on were born in the Mad Men era of the 1950s and 60s. Much of our marketing mindset comes from that era. One of the first brands I worked on was Green Giant. In my turnover, I received a brand brief literally written by a young Leo Burnett before he started his own agency. 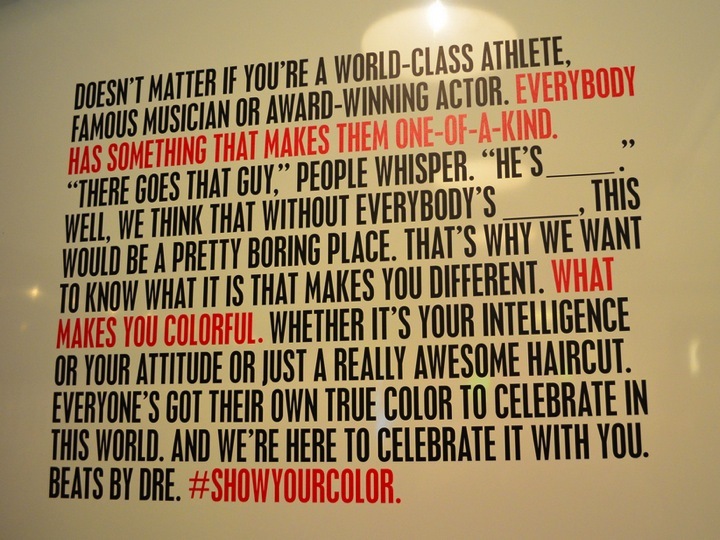 In that era, men like Don Draper or Leo Burnett would tell us what our brands stood for, and then he’d tell consumers. There were captive audiences with three television networks, so brands were defined by these Mad Men. 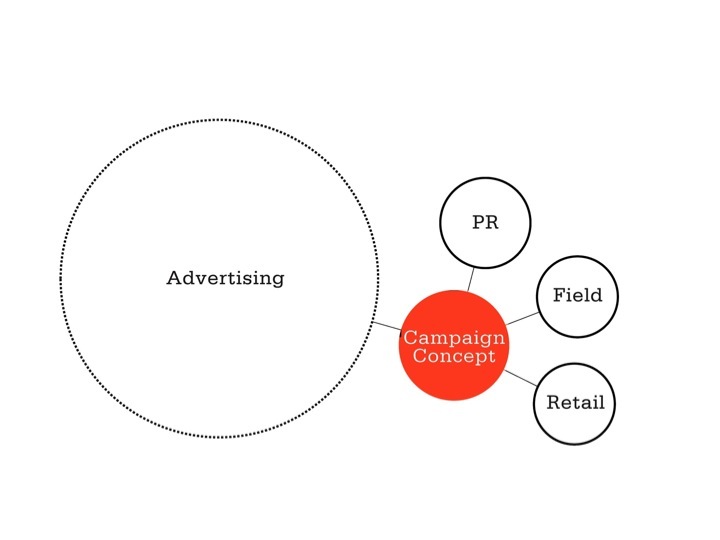 Our marketing model historically looked like this. It was one-way command-and-control communication. 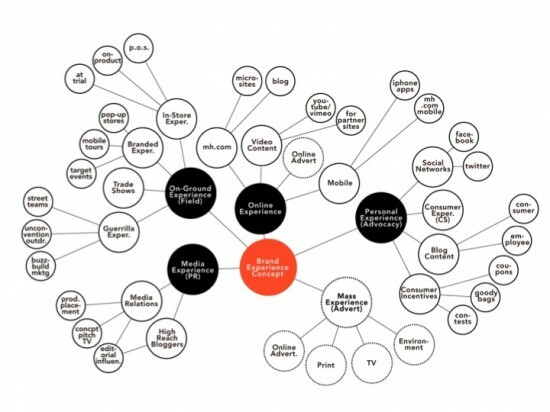 Seth Godin called this the “TV Industrial Complex”. But that command-and-control model is not as effective today. It’s easier than ever to ignore traditional media. Just because we tell consumers what our brands stand for doesn’t mean they listen to us. 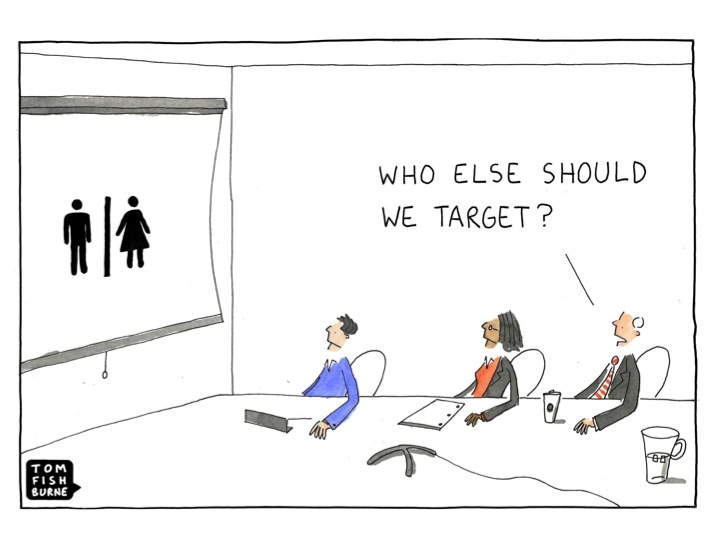 Today’s marketing model looks more like this. It’s segmented into lots of moments that matter. Some of these happen online. Some of these happen offline. You can’t manage every one with command-and-control communication. It’s a two-way world. Media is fragmented. There is an infinite number of potential touch points for your brands. And no possible way to direct every interaction. Don Draper doesn’t thrive in this world. That mode of storytelling no longer works. 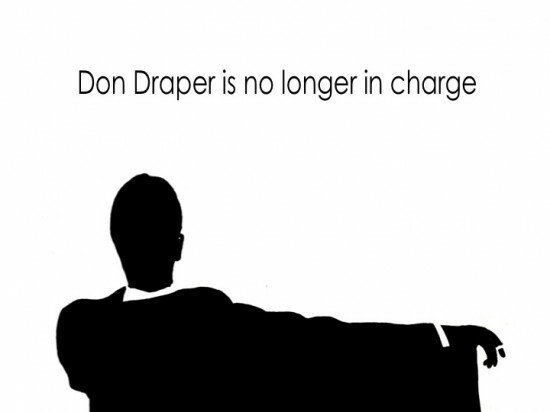 Marketing has evolved to where the brands are owned not by Don Draper, but by the consumer. And brands that really get this mindset change will do phenomenally well. Here’s an example from a few weeks ago. The London Olympics wanted to protect official sponsors, so they orchestrated an historic ban on ambush marketing. Parliament made ambush marketing illegal with stiff penalties. A bakery was prevented from having buns shaped like the Olympic rings. Olympic cafe had to change it’s name. Athletes faced a Twitter ban. 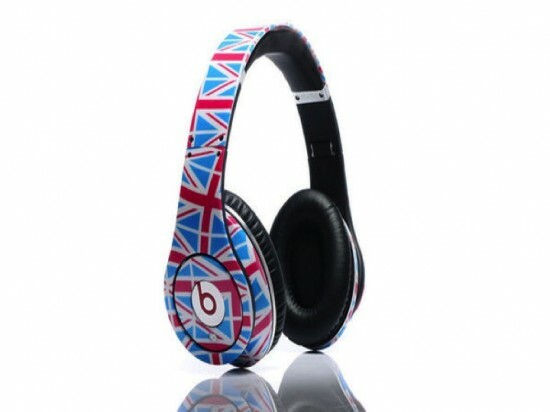 But along comes Beats by Dr. Dre, a headphones brand. 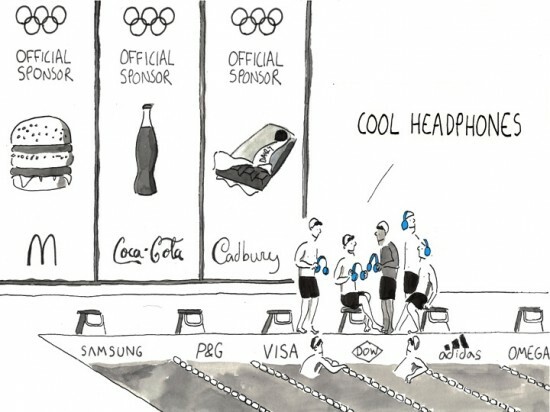 They’re not an Olympic sponsor. But they were everywhere in the Olympics. Every time you tuned in, athletes were wearing them. Every time you looked online, people were talking about Beats. They went straight to their consumers. They created custom national headsets in the colors of all of the competing teams. 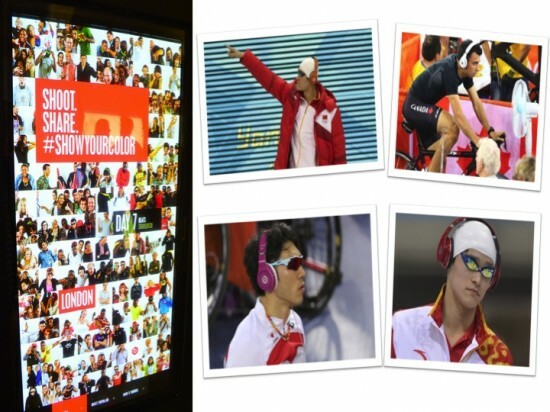 They leveraged an insight that athletes needed to focus before competing. It was a story worth sharing. And it spread from athletes to consumers. You couldn’t miss it. Samsung may have been the official sponsor, but Beats owned the better insight and better story. The reaction of the International Olympic Committee is telling. They said that it didn’t violate their ban on ambush marketing. Even though Samsung was a sponsor. The best marketing doesn’t feel like marketing. 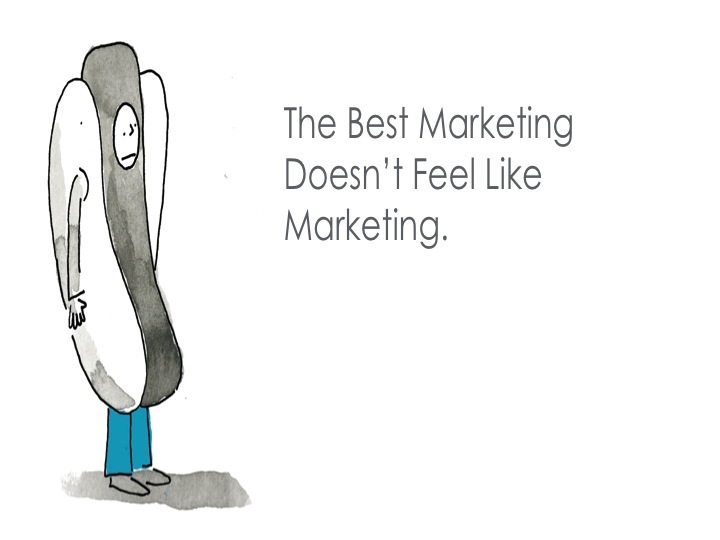 The new mindset we need as marketers is to create marketing that doesn’t feel like marketing. We need to create stories that are inherently worth sharing. We need to create experiences that consumers can make their own. Today I wanted to share five insights to create marketing worth sharing in this new world of marketing. I want to talk about creating moments that matter. A quick note on my story because I have an unusual background for a cartoonist. Most of my career I worked in big brand consumer products marketing. We focused on big budget TV paid media. Our Haagen-Dazs media budget was $25 million. I then spent 5 years at method, a startup soap company, with a media budget of near-zero. We focused on low budget earned media. 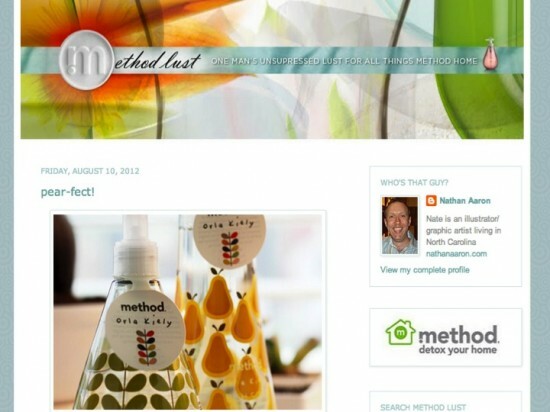 Method grew to $100 million in sales in less than 10 years, competing with no TV paid media, but with a great story. Along the way, I drew cartoons. I drew for fun at Harvard Business School and then started emailing a weekly marketing cartoon in 2002. 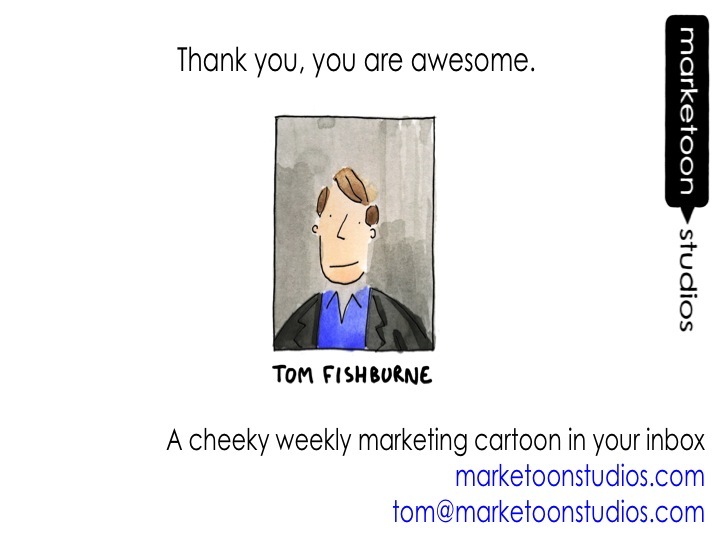 My marketing cartoon is now read by more than 100,000 marketers a week. It taught me a lot about growing an audience with content. 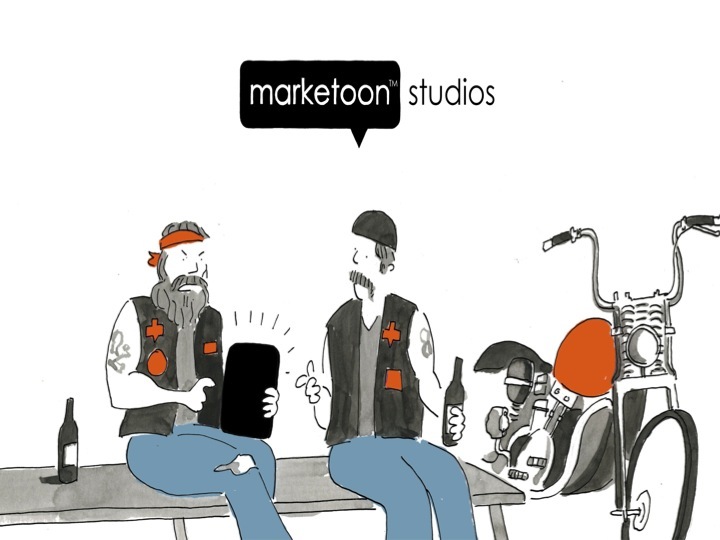 Two years ago, I brought the two parts of my background together and started Marketoon Studios full-time. 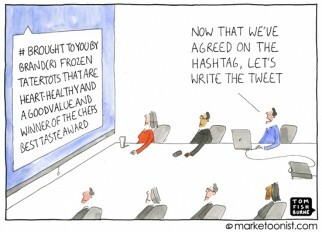 We help brands communicate with cartoons as visual social media. 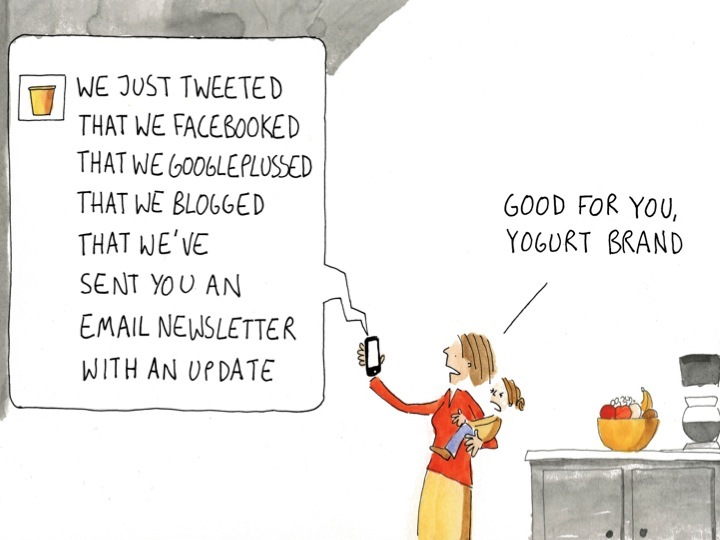 We help brands connect and grow their audiences with focused cartoons. 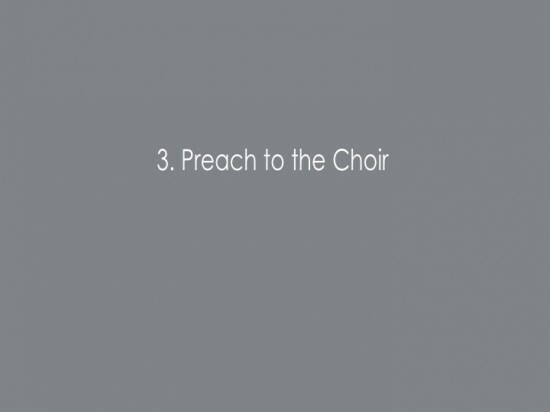 My marketing career taught me five things about creating “marketing worth sharing”. 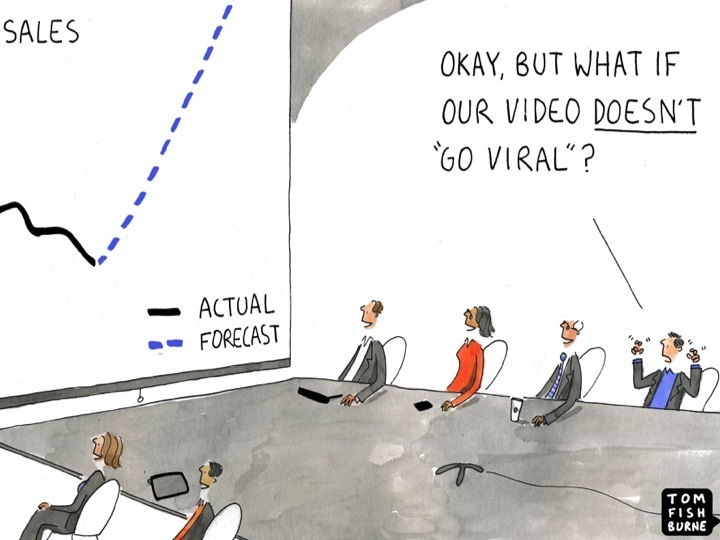 New technologies hold tremendous promise, but we have to see through the hype, particularly if the hype promises that something will “go viral”. We can accomplish new things with new platforms. But those platforms alone are not enough. And consumers don’t always embrace those platforms as much as marketers do. If we’re tiresome in the rest of our marketing, the novelty of a QR code won’t make it any better. 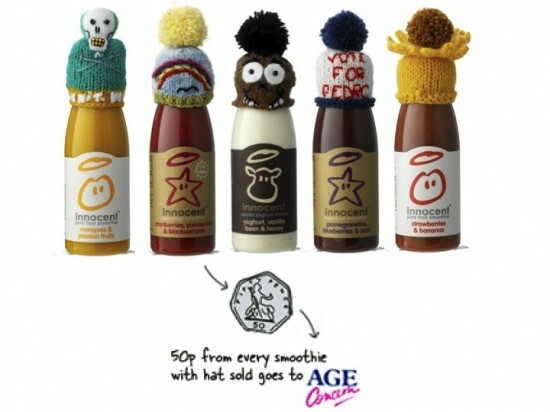 When I moved to the UK a few years, I discovered a smoothie brand called innocent. As a marketer, I love seeing marketing in other markets because it challenges what you think is possible. 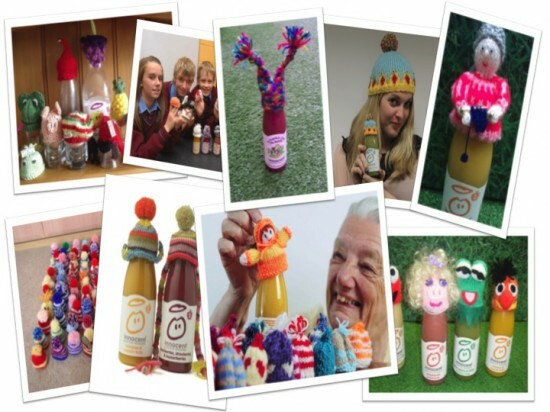 These wooly hats definitely challenged by thinking. 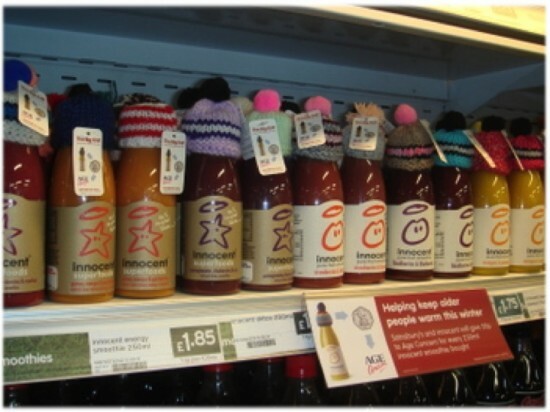 All of the bottles on the shelf were wearing knitted woolen hats. I then discovered that the hats were knitted by consumers. 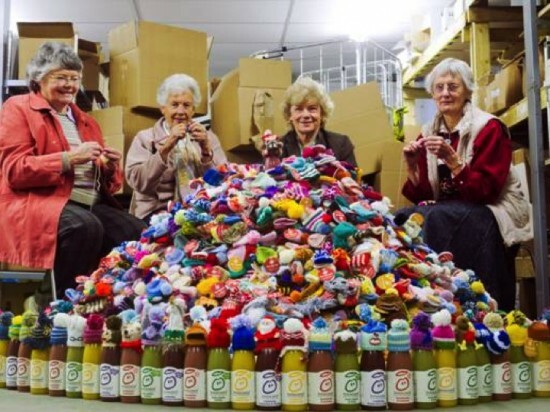 For every bottle bought at full price, the consumer would get a hat knitted by another consumer, and money would go to a charity called Age Concern, that helped the elderly with heating oil in the winter. Set aside the crazy logistical complexity of pulling this off. 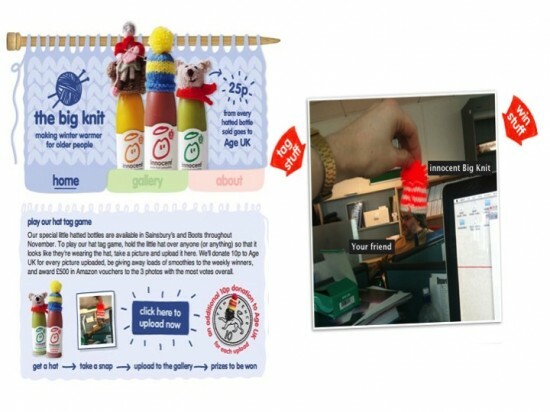 The marketing story alone is a big ask — getting consumers to knit little hats. Many of the elderly who benefited from the campaign joined in. So it was a wonderful full-circle marketing campaign, benefiting the brand, the consumer, the retailer, and the cause. This was an incredibly social marketing idea, even before today’s tools of what we think of as social media. This was 2001. You couldn’t get more low-tech. Knitting and an old-fashioned email newsletter. But it was marketing worth sharing and people shared it. When the technology became available, innocent took advantage of those tools to amplify the event: a tagging game, an online gallery, etc. But this idea was social from the start. It had the right mindset. It had the right DNA. 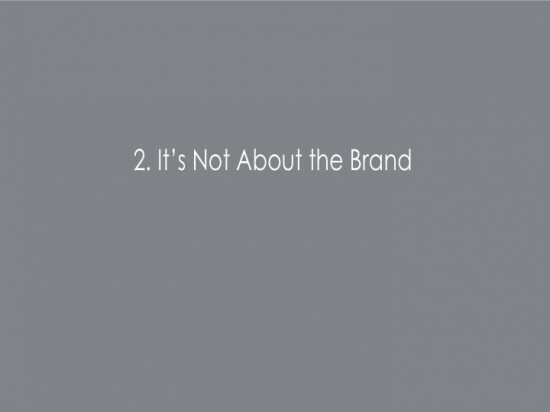 This may be surprising to those of you with the word “Brand” in your title. 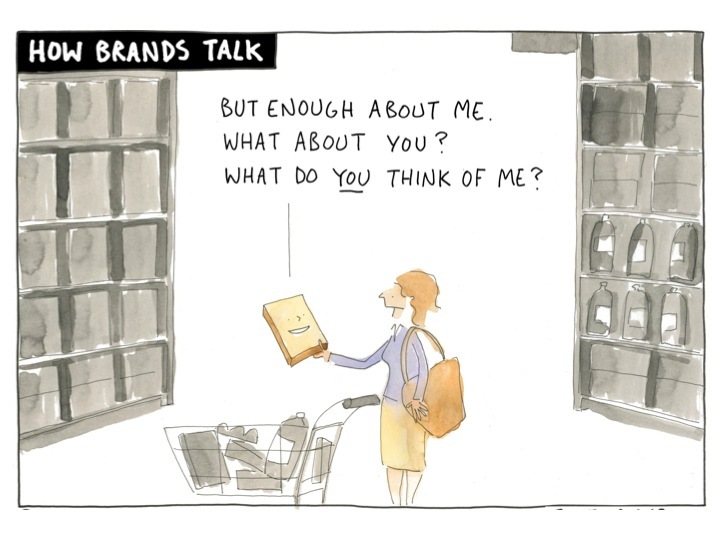 It’s tempting to think like a brand channel, all brand, all the time. Many brands sound like this. 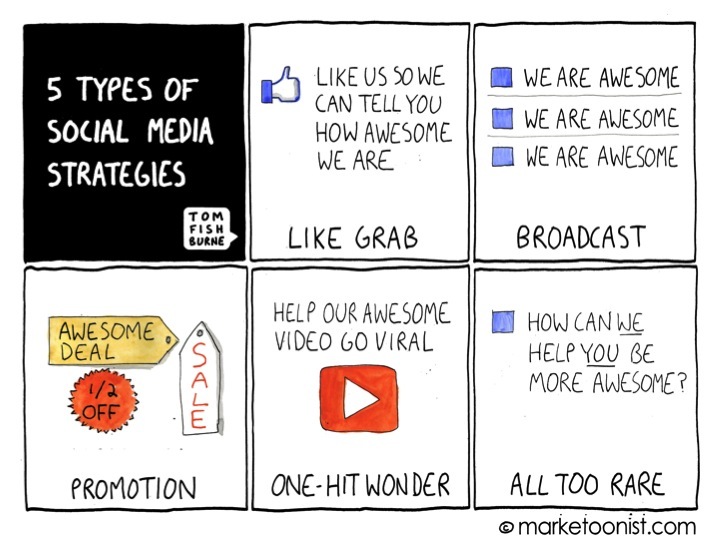 And no surprise that their social media channels sound like this. 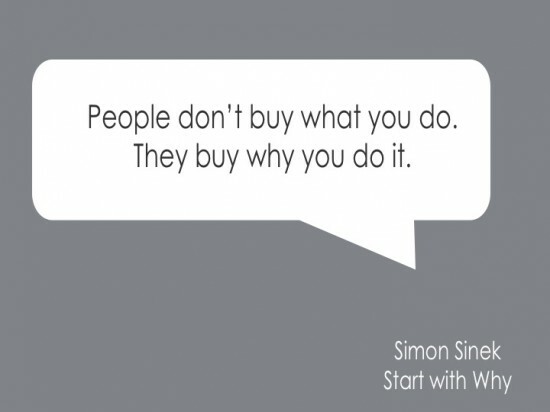 Often brands forget “why” they do what they do. The “Why” can sound so much like a cliche, it becomes meaningless. 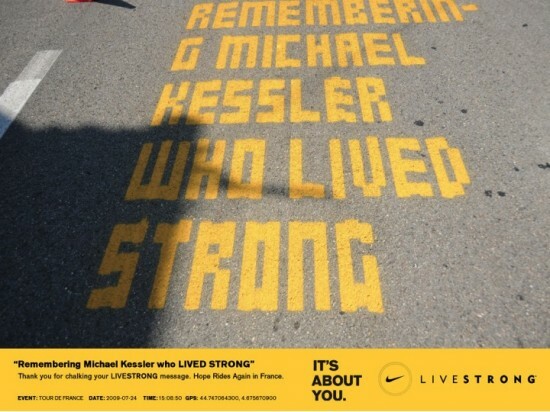 Here’s a remarkable campaign from Nike that got it right. They had the opportunity to use a new technology called Chalkbot. 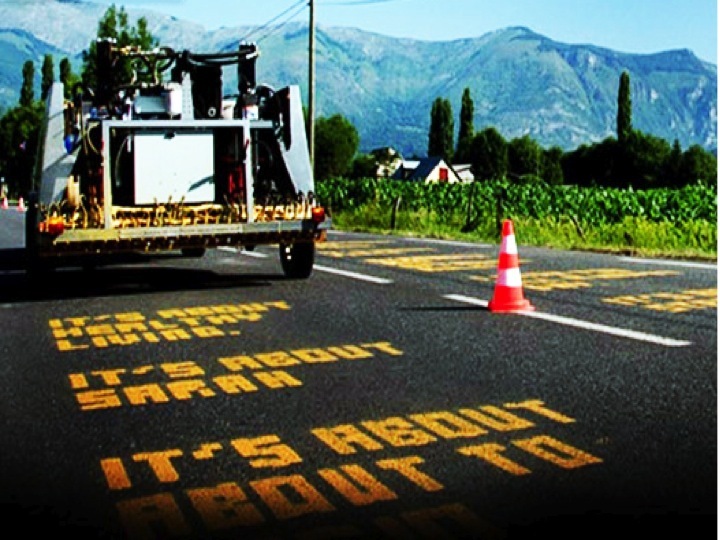 Chalkbot is a robot capable of drawing temporary chalk on road surfaces. With this technology, Nike could have drawn the world’s longest Nike swoosh. But they didn’t. Instead they sent Chalkbot to the Tour de France and programmed it to draw messages of cancer support provided by consumers in social media. 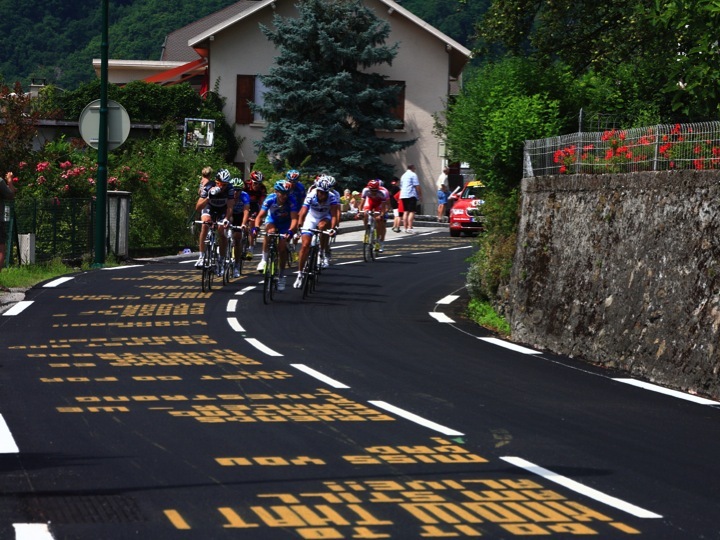 Chalkbot would then photograph the message on the road and send the picture back to the consumer who left it, along with GPS coordinates of where this physical artifact was on the Tour de France route. Along the entire route of the Tour de France were these messages of cancer support, drawn by Chalkbot. It wasn’t about the bike, the shoes, the swoosh, or the brand. It was about “you”. 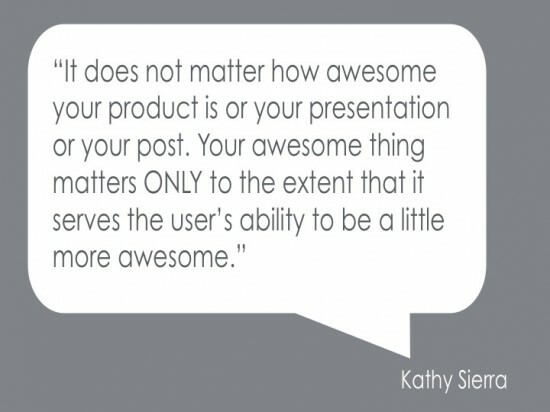 That’s the mindset we need to tell stories in the digital world. We need a social mission to fully participate in social media. 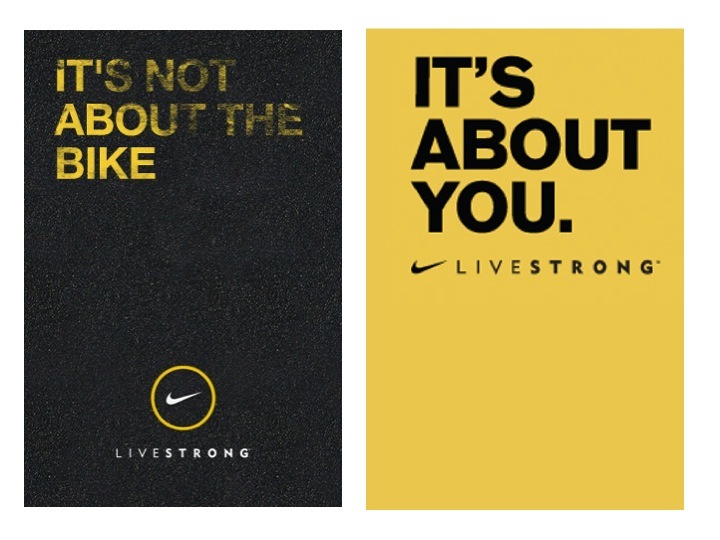 This is counter-intuitive to big brands. We think that to be mass market, we need to appeal to everyone. 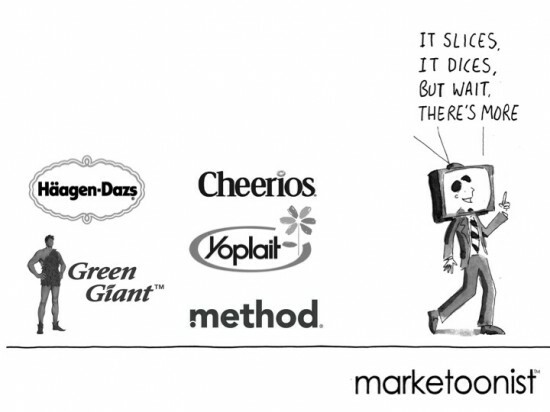 When I worked at General Mills, our CMO Mark Addicks once said that too many brand creative briefs were written for “women, age 18-49, with a pulse”. 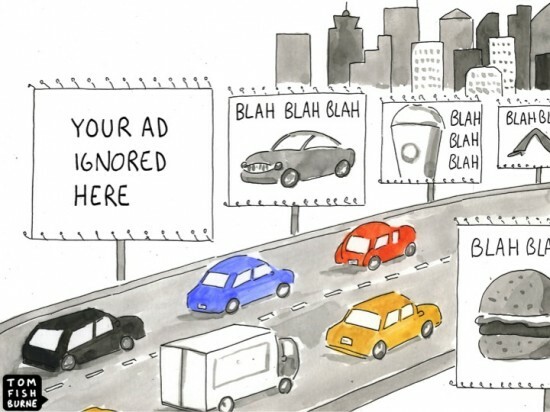 By trying to appeal to everyone, we end up not being that meaningful to anyone in particular. And we have to be meaningful to be shared. 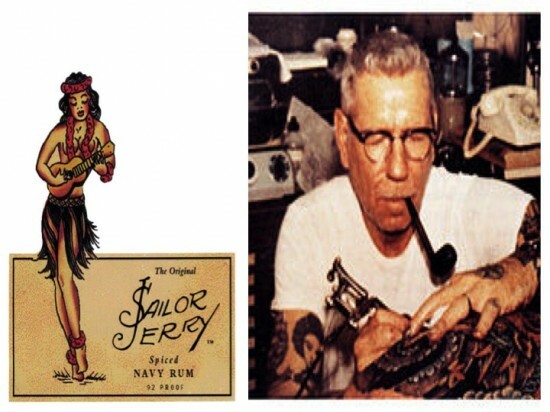 Sailor Jerry is one of the fastest growing spirits brands in the US. 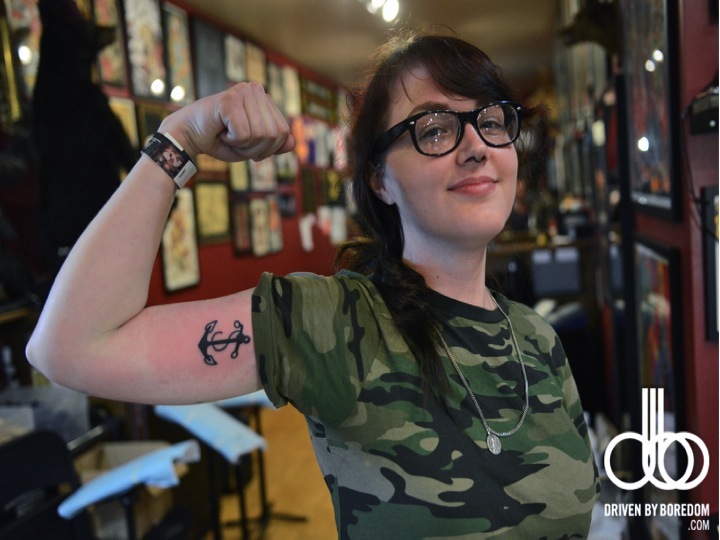 It was named after a famous tattoo artist from World War II. It is bigger than a niche brand, but their marketing talks niche. 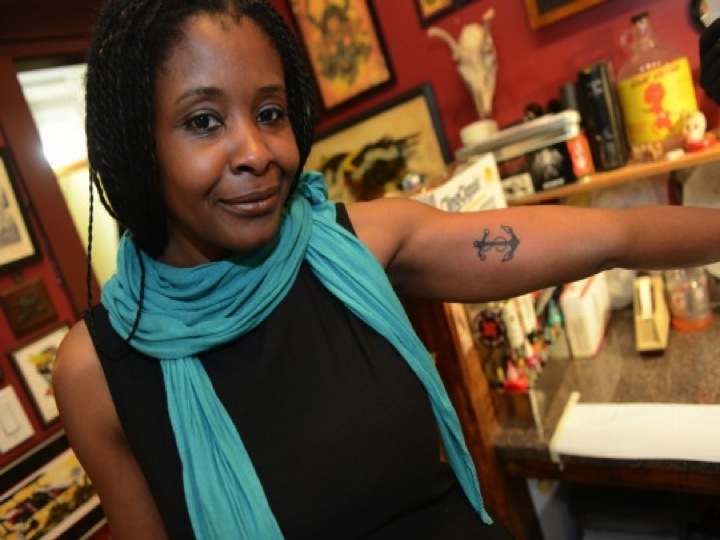 In a recent promotion, they asked consumer to get a Sailor Jerry tattoo permanently inked on their skin. If you agreed to get a permanent Sailor Jerry tattoo, they would reward you … with a shot of Sailor Jerry. It’s hard to tell from the photo, but that’s a really long line. And it’s raining. 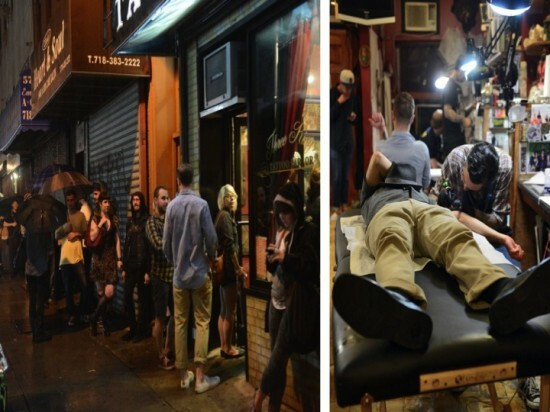 The people who participated were not just heavily tattooed bikers. And they didn’t get them in hidden places. 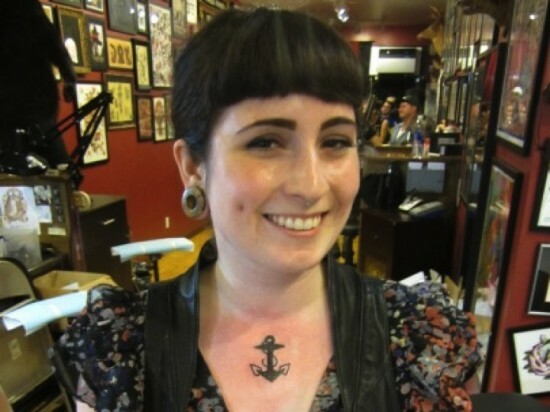 They were proud of their Sailor Jerry tattoos. All of these photos were taken, not by brand teams, but by fans. “Sailor Jerry is mine.” A little creepy? Yes. 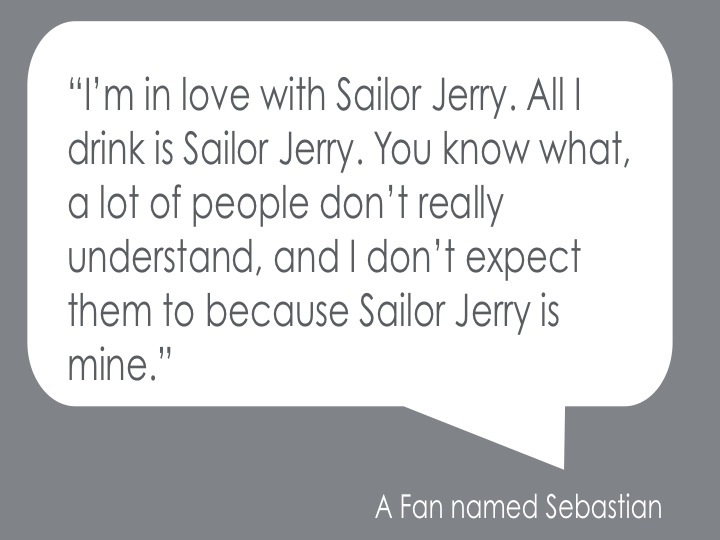 But these are the consumers like Sebastian own our brands, not the marketing teams. 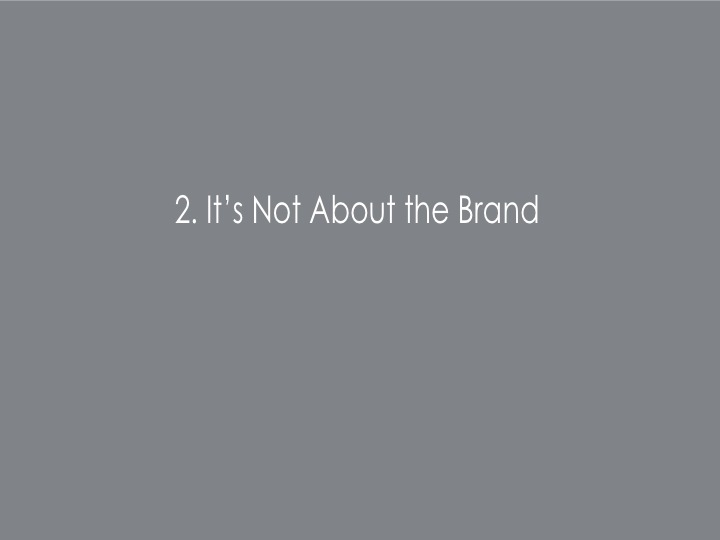 Our job as marketers is to talk to those consumers who believe this the most. We learned this at method when we discovered that one of our fans started a dedicated blog about method, “Method Lust: one man’s unsupressed lust for all things method”. Remember that method is a brand of cleaning product. Nathan updates it several times a week and there’s usually 5-10 comments per post. Many of us are trying to be the next Flock of Seagulls with our marketing campaign. 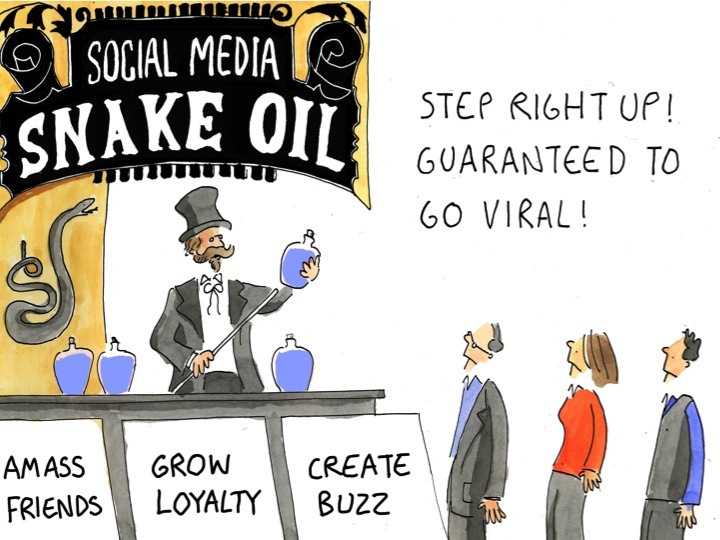 We put all our hopes on the magic of going viral. We put all our eggs in one basket. But every minute, 48 hours of video are uploaded to YouTube. Not every one can be a Double Rainbow or Ultimate Dog Tease. If our marketing doesn’t go viral right away, many marketers give up. 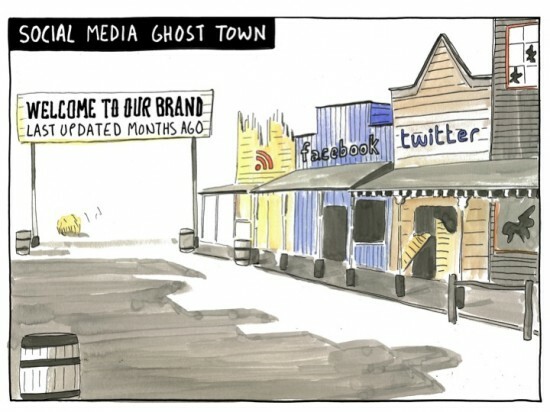 Social media is filled with ghost towns like this. Last updated months ago. 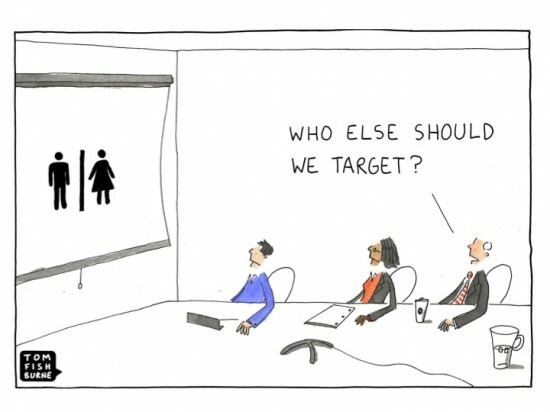 We forget that marketing takes commitment and patience. One of the greatest viral success stories is Orabrush. They sell a tongue scraper to fight bad breath. Oral hygiene is not the most riveting category. But they have 46 million YouTube views. They did this through ongoing content that people wanted to share. They had a weekly diary of a dirty tongue. 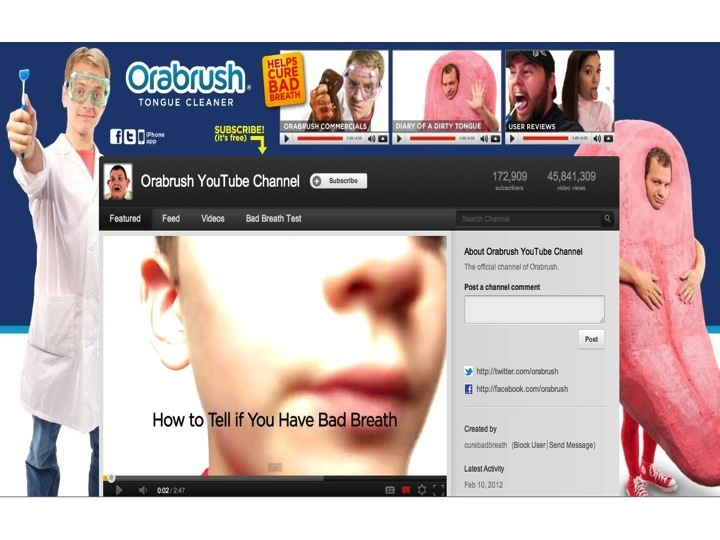 They have videos on dogs with bad breath. They post user reviews. 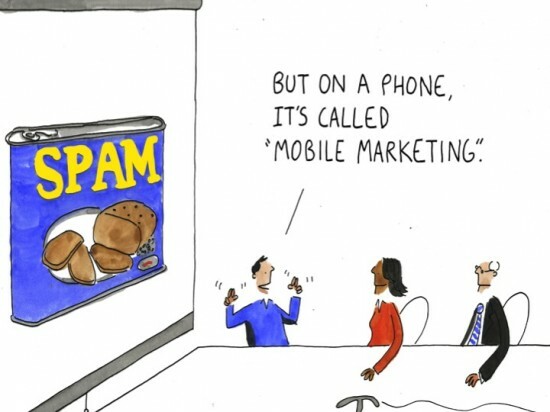 It’s not just one piece of marketing communication. The loyal following is more important than the viral video. Continuity trumps virality. This is a fundamental mindset change. Marketing is not about convincing consumers how awesome we are. 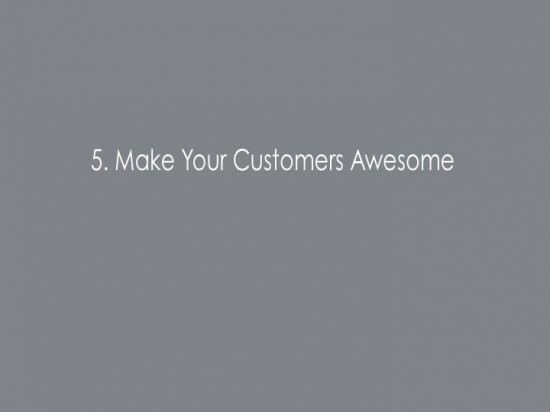 Marketing is about helping our consumers become more awesome. 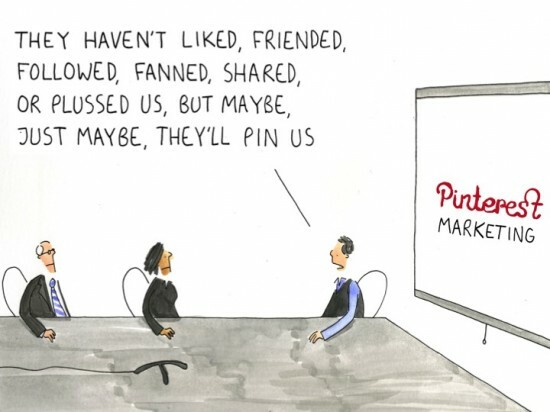 Yet many brands approach social media from this. Kathy Sierra framed this distinction in writing about software engineers. 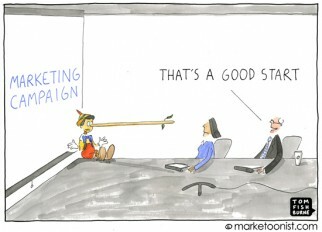 But it applies directly to the marketing stories that we tell. 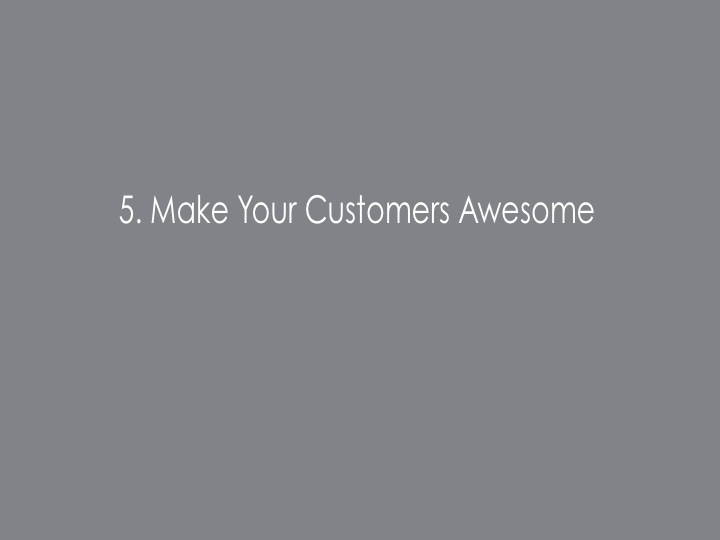 When we make our customers more awesome we all win. BetaBrand, a small clothing brand in San Francisco, epitomizes this. They compete against Old Navy, JCrew, Uniqlo and all of the bigger fashion brands in New York this week for Fashion Week. 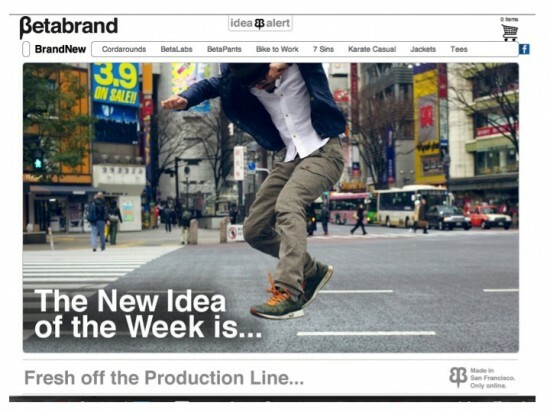 BetaBrand can’t compete on budget, so they compete on story. They make every week fashion week. They launch a new product every single week. Every product has a story. I’m wearing their Cordarounds right now. It’s horizontal corduroy. The world’s quietest corduroy. Betabrand promises it lowers your crotch-heat index. 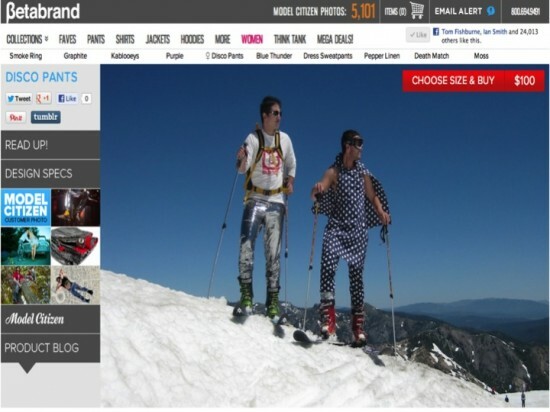 BetaBrand describes their brand as 1% fashion, 99% fiction. 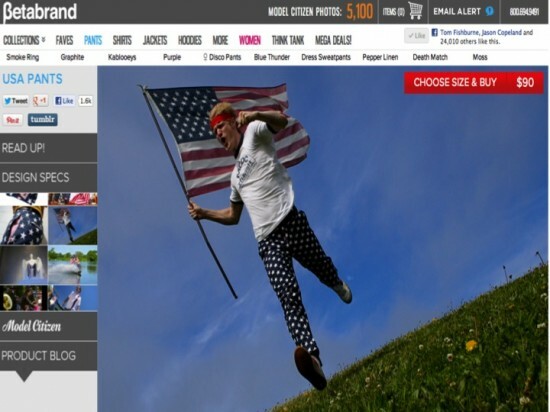 They make the consumers feel more awesome not only with the clothes, but with the talking points. I wore their Preposterously Patriotic Pants this year, and my town put me in charge of the 4th of July parade. It made me feel awesome. 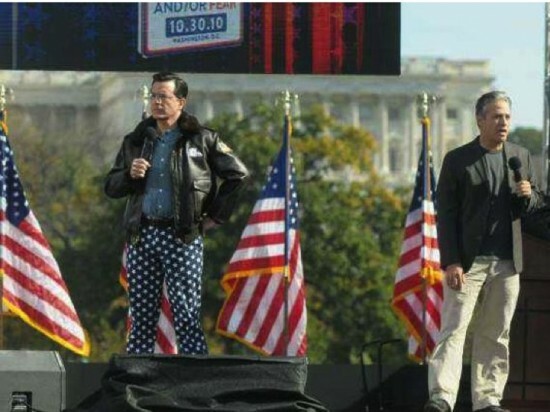 They made Steven Colbert even more awesome that he already is. 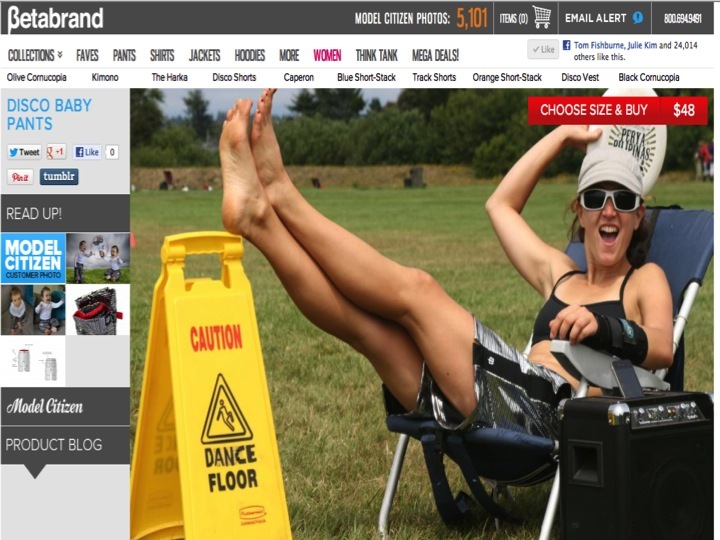 BetaBrand followed this up with the Caperon, which literally turns you into a superhero. 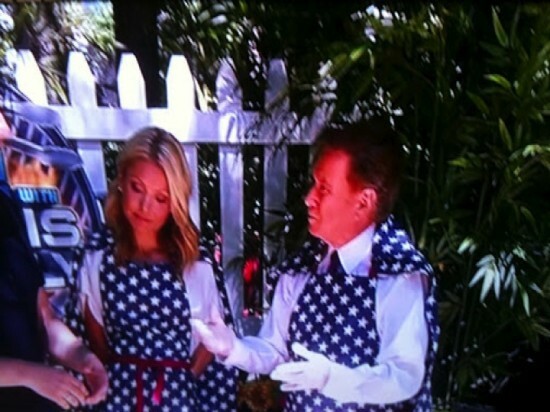 They made Regis and Kelly even more awesome. 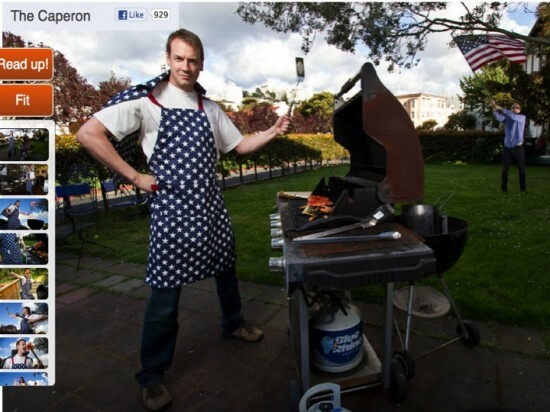 But the real coup is the “Model Citizen” campaign, where they took this story online, and made it easier for consumers to share their awesomeness to the world. They encouraged people to upload pictures of themselves with Betabrand, giving them a discount. 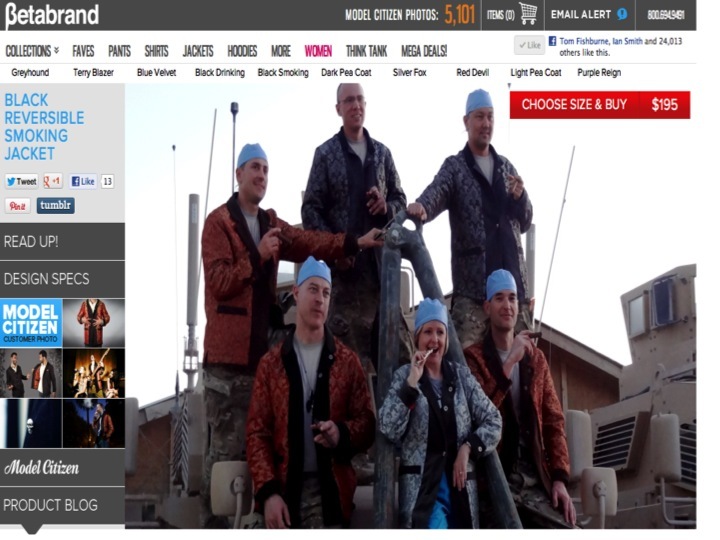 Everyone who uploaded a picture was given a dedicated link back to the Betabrand site, starring them. It’s not about how awesome this Red Devil Smoking Jacket is. 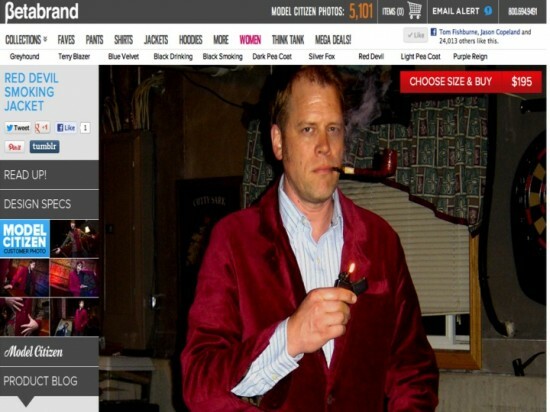 It’s about how awesome this guy feels in the Red Devil Smoking Jacket. And about how awesome he feels when he can share this with all of his friends to show off his own awesomeness. 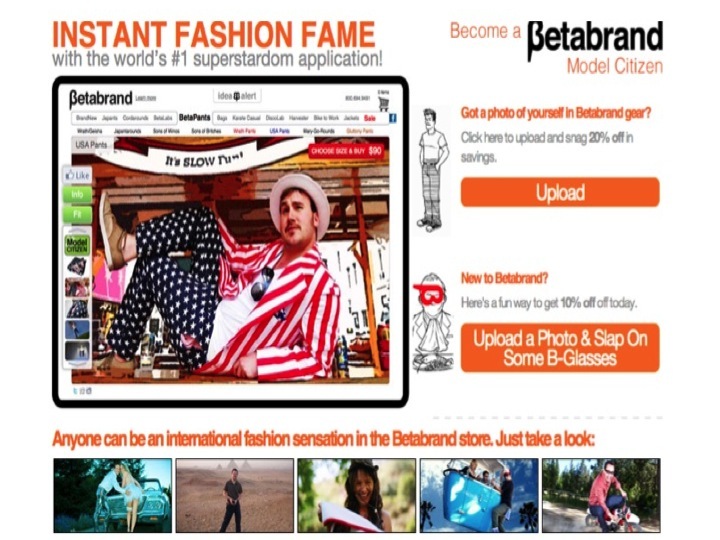 Betabrand comes along for the ride. Or this whole group in black reversible smoking jackets. Or these guys in preposterously patriotic pants, the caperon, and disco pants. 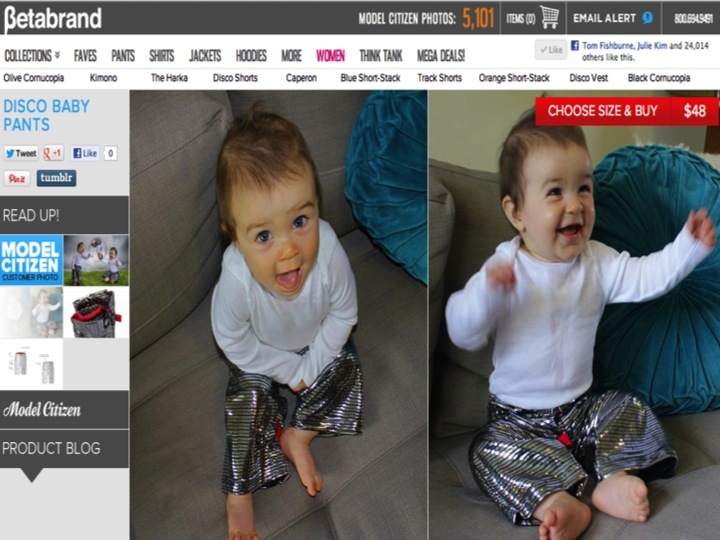 You can even show off how awesome your baby is. My main point for today is that all of our brands have the capacity to make our consumers more awesome. These are the moments that really matter. I want to leave you with the image of this guy skydiving into Burning Man, an accomplishment made even more awesome by his disco ball pants. There has never been more powerful technology at our disposal to make these moments happen. 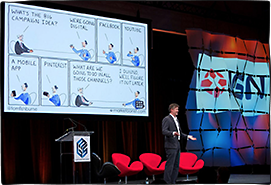 So the opportunity for you is to ink about how this technology can help make these types of moments happen for your brands and your consumers. Great Job, Tom! Creative and witty… just like I remember! Pure marketing awesome-ness at its best! Thank you for sharing this keynote. Start with Why. Great stuff! This article is fantastic- Thanks for sharing it! I have been doing marketing (mostly social media) for an art school in NZ and a low budget feature film and making things up as I go. One of our YouTube clips has 83,000 views and counting. I feel like it is an advantage not having traditional training in marketing as the shape of it seems to be changing so fast. It’s great to find an up-to-date article about effective marketing. I particularly enjoyed reading about all the misconceptions around social media as a marketing tool. This article gave me some great ideas that I’m looking forward to trying out! Thanks Tom. I get tons of articles passed onto me by friends. I usually read about 30 seconds into them. I read this one from start to finish and couldn’t get enough. This presentation would have been worth the trip alone! Outstanding! (and awesome too). Tom you just helped me with my next presentation – thanks for making my Friday a little easier with these great fundamental insights into the craft of advertising…Only thing your missing is the Dollar Shave Club guy! Amazing write up. Agree wholeheartly with the principles and as always LOVE your cartoons! 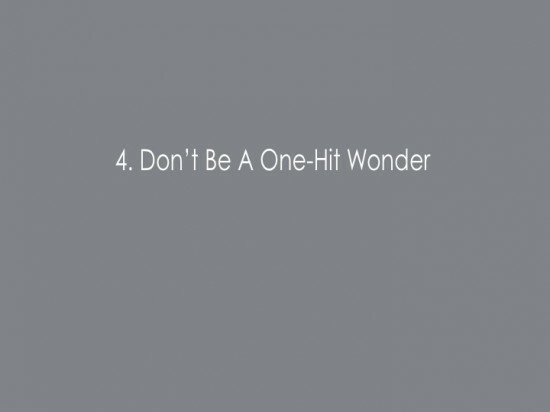 On the #1 principle, I really feel we have abandoned the importance of getting the core idea right in digital advertising. All that is changing is the theater the idea is presented. 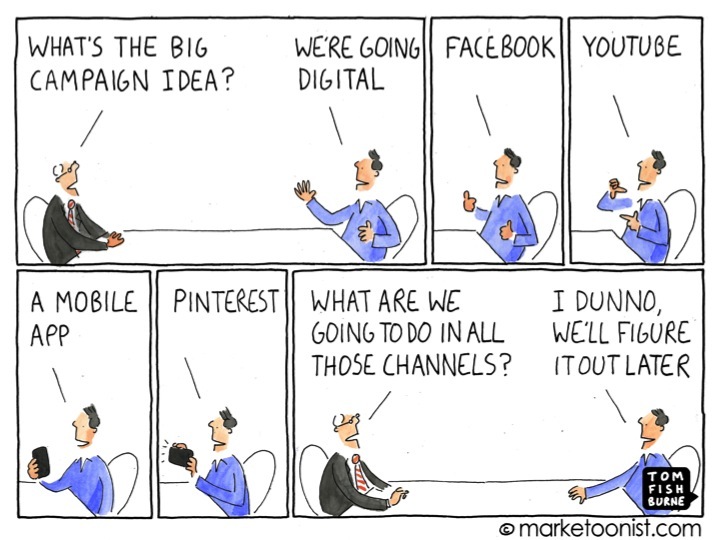 Tired of seeing many bad ideas presented as good ideas because they are in digital format! Spot on! One of the best, most truthful articles I have read lately. 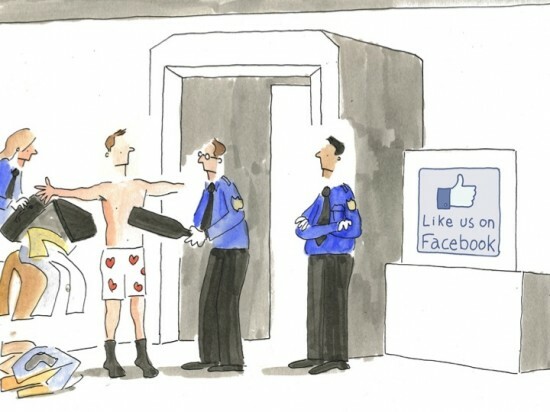 And the cartoon illustrations made it that much more enjoyable. You are awesome! Thanks Tom. Congrats, Tom. Simply brilliant work. I would even take it a step further and say that great ideas are not only “not less” important in today’s technology-driven socialized media environment, but in fact great ideas are “even more” important. Once upon a time, your idea competed only with those limited few that could afford to buy mainstream media, while today you need to break through the clutter created by anyone with a cellphone. With that many more creative contributors, the bar has been raised on what makes an idea standout. 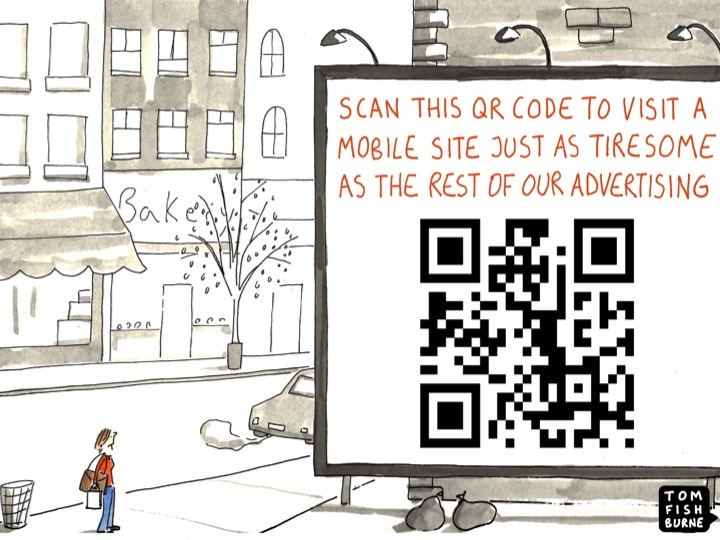 Awesomeness in marketing. Thanks for sharing. Really enjoyed this, Tom. And love seeing your cartoons! Please give my best to Tallie. So much sense! At last. Brilliant. 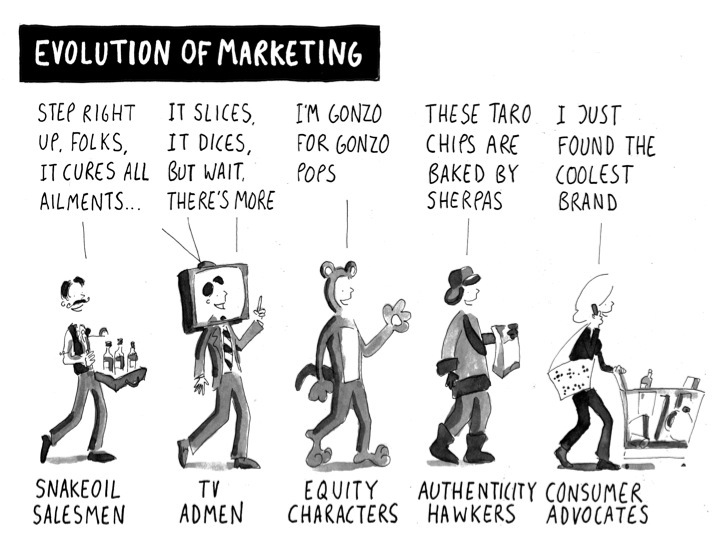 Great summation of where we are in the rapidly evolving world of Advertising/Marketing. We are honored to be featured with our work on the Beats Olympic activation — For years been doing impactful word of mouth / advocacy marketing for Diageo, Nike, Nintendo, P&G, Google and Beats, among others — Hope this post generates some more word of mouth about MKTG, Inc.
Really enjoyed this – common sense in a fun and engaging way! Well done. Great article – thanks for sharing – it is appreciated and allows us to THINK! EXCELLENT post Tom. You really shared a LOT of excellent information. As always, entertaining and informative. Amazingly insights! Truly love reading your posts. Very Well done, you make all the points that need making and a picture explains it all so well! 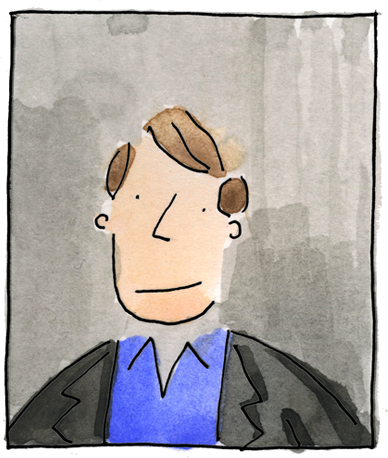 Tom – a terrific read, as always! 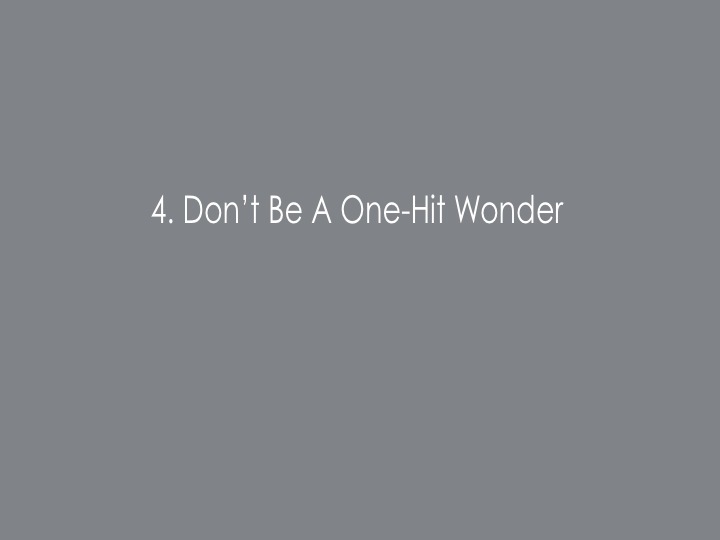 If only more marketers would follow your highly relevant and common-sensical rules, they and consumers would both benefit! What a fantastic presentation! great stuff and thanks for sharing! Thanks for sharing. Helped improve my insight regards social media. I will be happy to keep receiving more such pointers. Tom, thank you for sharing. 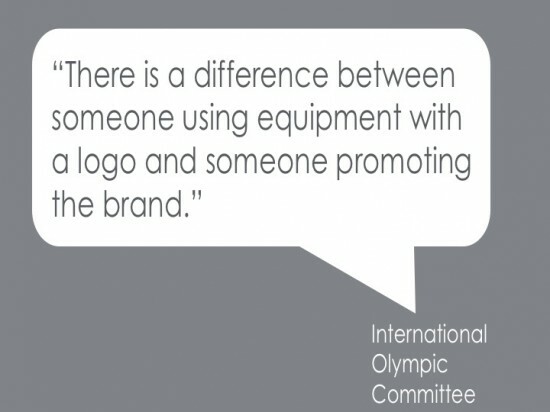 I particularly like Olympics example! And my shoes make me feel awesome, that`s true, that`s why I like the brand. But shouldn`t brand be awesome to make me feel alike? 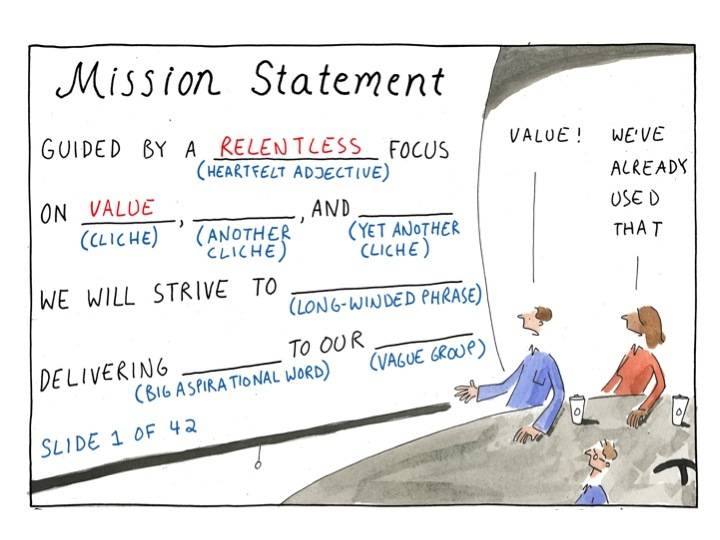 this is absolutely the best marketing strategy presentation i have read this year, and i read’m all. thank you!!! Awesome article with great insights! Tom.. you are one of the freshest thinkers in modern day marketing.. Fabulous read.. Keep them coming!!! They inspire all of us in marketing to transform our thinking..
You nailed it!! 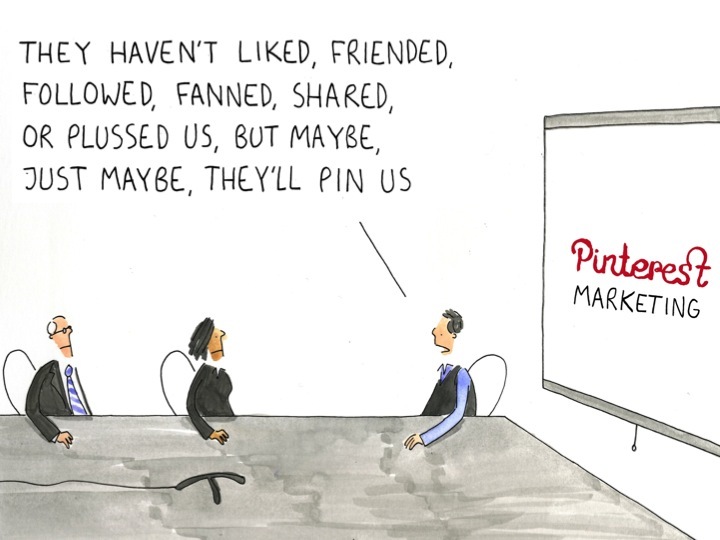 I love you Tom Fishburne! Its complete and perfect take on the whole of marketing. Fantastic. Felt happy reading through it. Apt thoughts, dense with creativity and fresh happy style of communicating. Thank you so much. awesome. Hope marketers don’t just read it and feel impressed but adopt the new mind set and start implementing it sooner. It’s one of the most amazing posts I have read recently. I have a campaign in mind where I need cartoonists. Any suggestions? thank you for sharing this talk. funny and smart as always!